Do ya hear the comics coming from up on the mountain? Double Bat-books! Batman, I dig it. Batwoman, you’re losing me. I hope this new arc reels me back in for the latter. Curse Words is on a fine wire with me, right now. I loved the opening 2-3 issues, but I’m worried it’s losing steam. The art is still top notch, and I can feel the parts of Soule’s writing that I like, but it’s fading. Royal City continues to be a story of heartbreak and that’s just something I can’t get enough of in comics. Damn you, Jeff Lemire! X-Men Gold, like Blue last week, is entrenched in Secret Empire and I just do not give a goddamn. I’m not in this event, I don’t have a horse or a boat or any kind of metaphor. Just leave my X-books alone. Star Wars: Darth Maul comes to a close this month and I’m doing it. We’re gonna get a fight! We’re gonna get a fight! We’re gonna get a fight! I’m pumped. 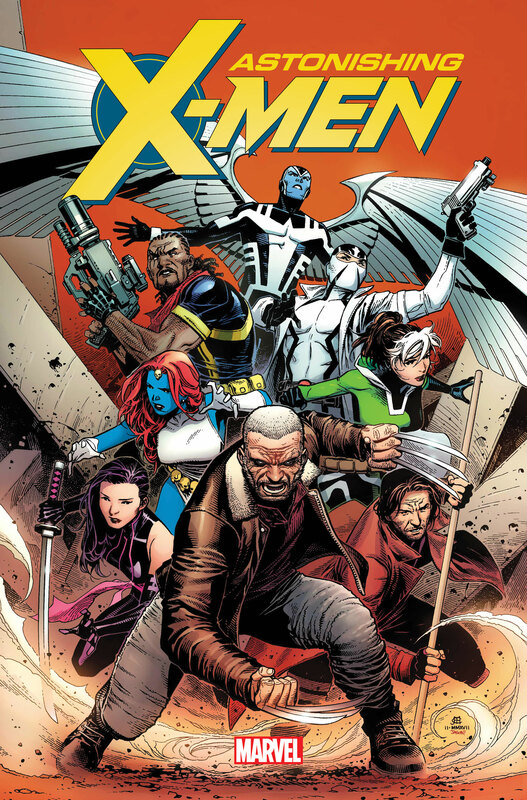 Astonishing X-Men completes the new wave of X-Men (aka RessureXion) and I’m now scared because I think, no, know a lot of my pull list is JUST X-books at this point. Soule on writing, Cheng on art. This should be the biggest, baddest comic of them all. The cast is insane. Plus, with this book, I’ll be able to complete my variant collection for this whole ordeal–LEAVE ME ALONE. The inter-dimensional adventure continues in Cave Carson Has a Cybernetic Eye this week. This is still my favorite comic on the rack right now, mainly because the book manages to keep the relationships between the characters engaging and evolving even as their journey leads to increasingly surreal locations. It’s fitting that a Riddler story would feature a lot of “Easter eggs”, which also make this current Batman story so fun. As Edward Nygma and the Joker try everything they can to kill each other, the rest of Gotham’s villains has picked a side, with Batman trying to control the chaos. This is just the kind of wild, over-the-top Batman story I’ve come to expect from Tom King, and it’s great.